"In this slim, fast-paced page-turner, Wignall returns to one of the themes of his well-received first novel, People Die-the sympathetic hit man who has, if not exactly a conscience, extended internal considerations of the moral implications of his trade. Stephen Lucas, a recently retired, emotionally stunted hit man, emerges from his Swiss hideaway as a favor to old friend Londoner Mark Hatto, who hires Lucas to surreptitiously guard his daughter, bright, extroverted Ella, while she's vacationing in Italy with her boyfriend. After Ella's entire family is murdered, Lucas foils several serious attempts on Ella's life, and the two of them form an odd, almost familial relationship. The boyfriend soon drops out of the picture as the hit man reluctantly helps Ella exact revenge on those who killed her family. There's plenty of action, but it's the twisting, turning, complicated relationship between Ella and Lucas that forms the core of this compelling novel. Most popular genre writers allow and even encourage the category elements-action, adventure, suspense-to subsume the literary ones, but Wignall concentrates instead on the questions of character and motivation that make for a deeper reading experience. The names le Carre, Simenon and recent British mystery author Mark Billingham come to mind, making this a blend of old and new masters wrapped up in an original, finely hewn effort. " With the exception of The Debt in which Sam Worthington played the young David character, the thirty seven year old Australian actor has been in films and tv shows I'm not familiar with or that I just don't care about - Avatar, Clash of the Titan, Wrath of the Titans. was; Jessica Chastain in particular. That's the extent of my Sam Worthington knowledge. is the teenage girl Lucas is hired to protect. Hailee Steinfeld, the precocious teenager, is in fact just sixteen so I hope they'll stick to the story line in the novel - I won't spoil it with the details but part of the tension is that Lucas wants to get back to his girlfriend and their child. Steinfeld hasn't had a thing on screen since her breakthrough in 2010's True Grit. Now, she has no less than ten -10- projects due to come out this year or next! Romeo+Juliet with the too pretty Douglas Booth is slated for July, Loveship, Hateship based on Alice Munro's kinda eponymous collection of short stories doesn't have distribution yet; the cast also includes Kristin Wiig, Guy Pearce and Nick Nolte - a bit of a hodge podge. Ender's Game will undoubtedly be BIG when it comes out in November and then as I said, she has what, seven more projects including this one in various stages of production. Side note: Steinfeld is currently filming The Homesman, a Tommy Lee Jones trinity; Jones stars, directs and co-wrote the screenplay based on the book by Glendon Swarthout. Jones as director? I would love to watch that; I imagine he's calm and business-like on set; consult with the pro's, rely on their advice and get the shot. 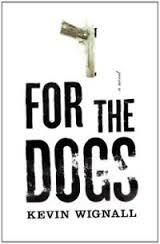 The For the Dogs screenplay was originally written by Paul Leyden who, according to Deadline, optioned the rights to the novel with his own money; which they say is never smart. They being "they" not Deadline. Whoever they are, they might be right. Leyden is not only a writer, he's a hunky TV soap actor - Simon Frasier on As The World Turns, Blake on The Young & the Restless - who looks the part so strongly that it makes me wonder whether he optioned the book and wrote the screenplay way back in the beginning pre-Worthingtonin order to play the part of Lucas himself. I'm just wildly speculating but now Deadline reports that another writer was brought in, Oren Moverman who "wrote a script based on the adaptation of the novel by Paul Leyden." I wonder what the story is there; I wonder too what contractual difference it makes with the WGA and the moolah; any writers guild experts out there?